Indoor cats enjoy extra comfort and safety from many diseases, predators and other hazards — like cars — that outdoor cats must face. In fact, cats kept exclusively indoors live, on average, at least twice as long as outdoor cats. But indoor cats face their own set of challenges. Learn about the unique needs of indoor cats and how you can make your indoor pet as healthy and happy as possible. Indoor cats are far less active because they encounter fewer stimuli and have less space to roam than their outdoor counterparts. To make up for their environment, you should try to play with your cat for at least 20 to 30 minutes per day. Try to keep your cat’s play routine new and different. Try new rooms, new variations of games and even new toys. Something as simple as a laundry basket can become a cat’s new favorite toy. Also, check on your cat’s weight at the annual vet visit to make sure your cat is maintaining a healthy size. Cats need somewhere they know they can go to feel safe and secure. This is especially important in households with other pets or young children. Cats naturally seek high locations for safety. A perch up in a high place like a cat tree or mounted shelf is ideal because it’s safe from other pets and kids, and because your cat can look out over the room while resting. A clean litter box is essential to your cat’s comfort and health. Supply at least one box per cat. Each box should be scooped daily, the litter should be changed frequently - once a week or every other week - and the boxes should be replaced annually. Litter boxes also should be in a private location away from high-traffic areas of the home. The condition of your cat’s skin and fur is one of the best indicators of nutrition and well-being. Many indoor cats can develop dull fur or have issues with dry, flaky skin. These conditions can be caused by dry air from indoor heating and cooling. In some cases, a dull coat and unhealthy skin might indicate a nutrition deficiency. 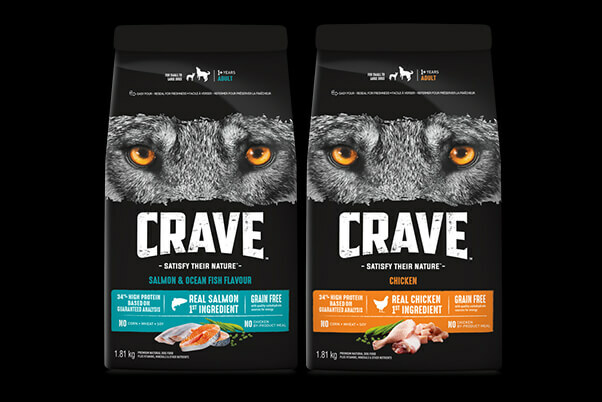 The real-meat* proteins in CRAVE™ cat food contain a nutritional profile that supports shiny fur and healthy skin. Also, make sure to brush your cat. Indoor cats groom more frequently than outdoor cats, so helping remove extra hair, especially during shedding seasons, helps cut down on hairball formation. 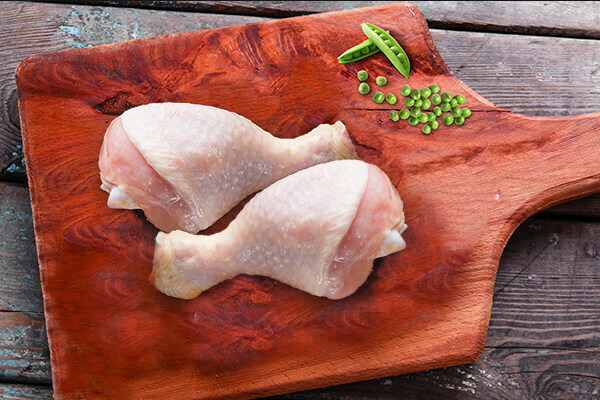 *Meat is defined as poultry or fish. When you go grocery shopping, you read the nutrition labels on food packaging to help you decide what you want to buy. But the nutrition label on your dog's food might look complex and difficult to understand by comparison. Read this guide to help you understand what you’re looking at. 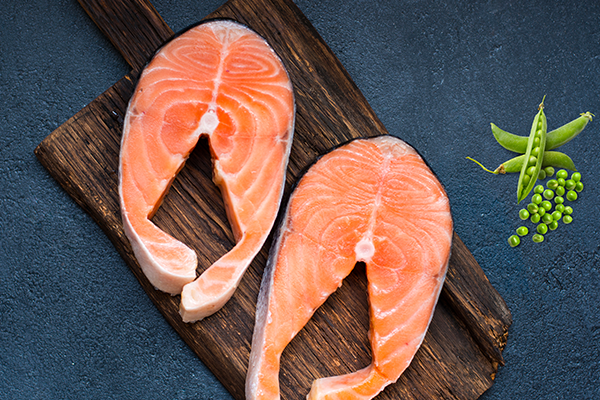 Proteins are essential nutrients used to promote muscle development, aid in digestion, provide energy and support a healthy immune systems in all animals. During digestion, the body breaks down dietary protein into amino acids. Different species have different daily requirements for amino acids. Dogs and humans have similar protein requirements. Proteins are essential nutrients used to promote muscle development, aid in digestion, provide energy and support healthy immune systems in all animals. During digestion, the body breaks down dietary protein into amino acids. Different species have different daily requirements for amino acids. Cats need more protein than dogs or humans.